We Yadav Brothers is well known name in packers and movers, transport & logistics industry from more than 20 years to provide Best in class services.we have fleet of 9- 28 feet, Tempo, Lpt, Taurus in 6, 10, 12, 14 tyres and 20, 22, 24, 32, 34 & 36 feet closed body Container Trucks, refrigerated (frozen) trucks, 20, 40 feet To Choose the Right Transportation Modes That Best Suits Our Customers Flexibility to fulfill Their Individual Requirements with our expert & trained drivers, traffic Coordinators & staff who ensured delivery of your goods in any Geo-location (destination) of India smoothly.OR Visit our website. Call for best and as per your budget services of packers movers, TRUCK transporters services in Delhi, Gurgaon, Noida. 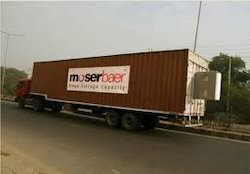 We have trucks in close container, Taurus, lpt, open body for e-commerce and light weight manufacturing companies like lg, Samsung, Volta's, lumax, bajaj, usha, sleep well, hero cycles etc. So, please give us a chance to serve you with satisfactory results. We also arrange 20,32, 34 feet closed body container trucks & movers and packers, relocation, moving, storage services in Delhi/Ncr to through India as per your requirements. Moving & Packing Service, Goods Packing Services, Goods Moving Services, Goods Relocation services, Goods Shifting Service, Goods Loading Services, Goods Unloading Services, TRANSPORTATION Services, Transport Service, Car Carriers Services, Car Shifting Service, Truck Hire, Truck Hiring, Truck Renting, Tempo Hiring, Tempo Renting, Home Services, Home Visit, Home Deliveries for more info visit website.